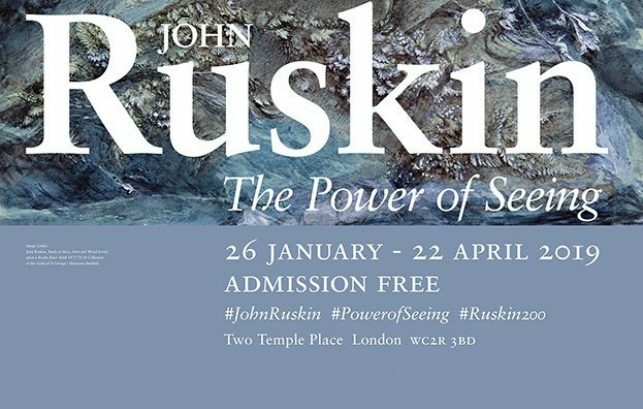 In collaboration with the Sackler Research Forum, Two Temple Place present this topical panel discussion, chaired by BBC broadcaster Samira Ahmed, exploring the question ‘What is the point of museums?’ as part of the programme of public events responding to the exhibition: John Ruskin: The Power of Seeing. John Ruskin had very clear thoughts on what a museums should be; a place of learning, interaction and social engagement. Have our view of museums changed in the 21st century? Do his ideas still stand in this age of government austerity, which has impacted so much on the funding of culture, infrastructure and education, but also with questions being raised about the provenance of our collections! Can museums really be as welcoming and ‘for everyone’ as they are trying to be, whilst there are so many questions raised around the collections they still hold? This chaired discussion explores the relevance of Ruskin’s thinking in a 21st century context, and examines the real ‘point’ and potential of museums. Please note this event is not held at Two Temple Place, it will be held at: ‘Lecture Theatre 1, The Courtauld Institute of Art, Vernon Square, Penton Rise, King’s Cross, London, WC1X 9EW’.